As I’ve mentioned before, we spent 6 months in hospital most of that was at GOSH. As you can imagine during that time we made it in and out of different wards and were well known amongst all the seniors there. It’s a very specialist hospital, a lot of children are there long term and when kids like Ava so long stints there it’s hard not to become well known especially with her “ways”. Ava up until now had not been fed, since birth! And she was now 5-6 days old. She was being maintained on dextrose and close monitoring. My once small 5lb 6 full term baby was now even smaller and to this date I’m not sure how small she dropped but I believe it to be well below 5lbs. 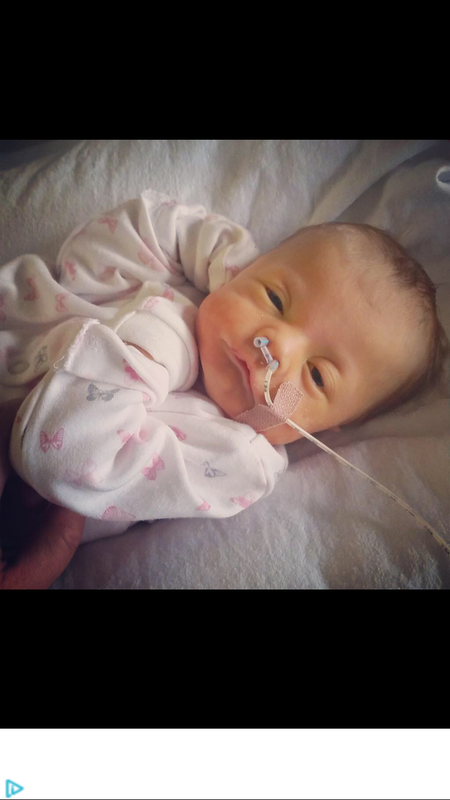 She was now off of PICU and on a ward and for the first time since she was born we decided that we were to go home and sort our place out that one landlady had recently also conveniently sold! Just what we needed! 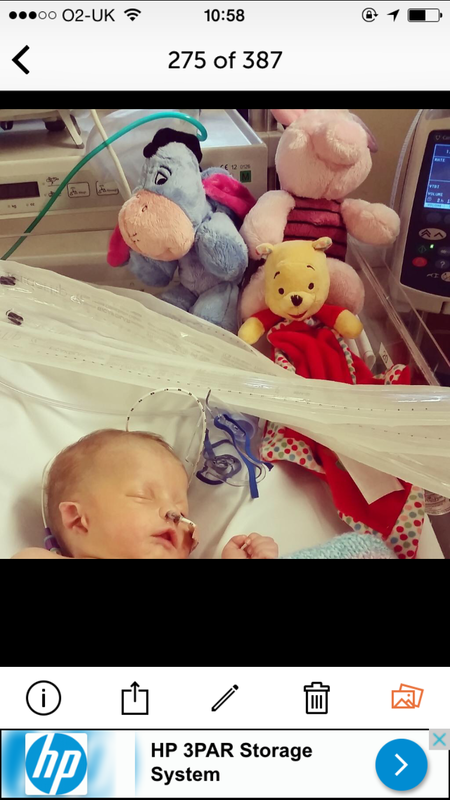 Ava was terribly Jaundice, this was before the ventilator was taken off, it took a good few days to sort this out with her. On the new ward it was a whole new ball game, new nurses new everything! 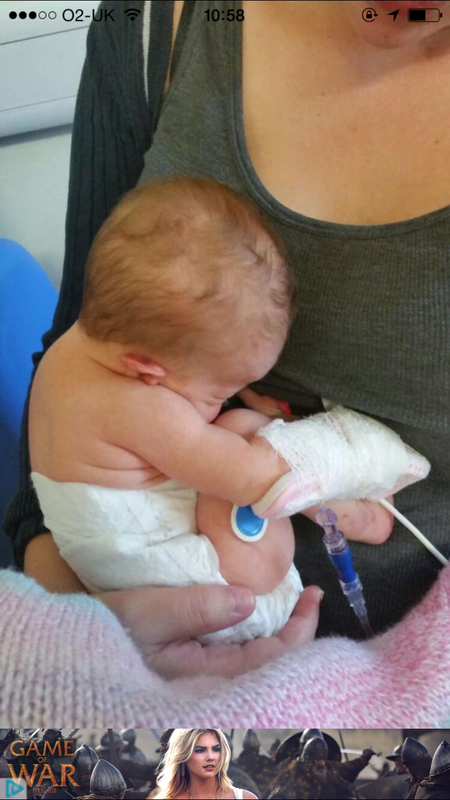 What we had learnt from Ava is that shortly after her operation we had been given a potential diagnosis of CHARGE syndrome. Now I will do a post seperate to explain but in a nut shell, we were told that she would be deaf,blind and many many other things that we would only learn in time. We also learnt that there could be serious complications with her heart. We went home and returned the next day. We were told Ava had frequent desaturation that could not be explained, she would have “blue” episodes where by her oxygen levels would just drop, she would need to be suctioned and rescue breaths with a bag. What was going on? We though we’d fixed her nose she had no reason to keep doing this? I was so scared she was going to die, I was petrified that she was going to stop breathing, that at one point she wouldn’t be able to be roused from an episode. Just when you think you’re out of the woods, you’re not. That’s the thing about having a poorly baby, the unknown and such a rare condition, you just never know, even to this day we just don’t know . 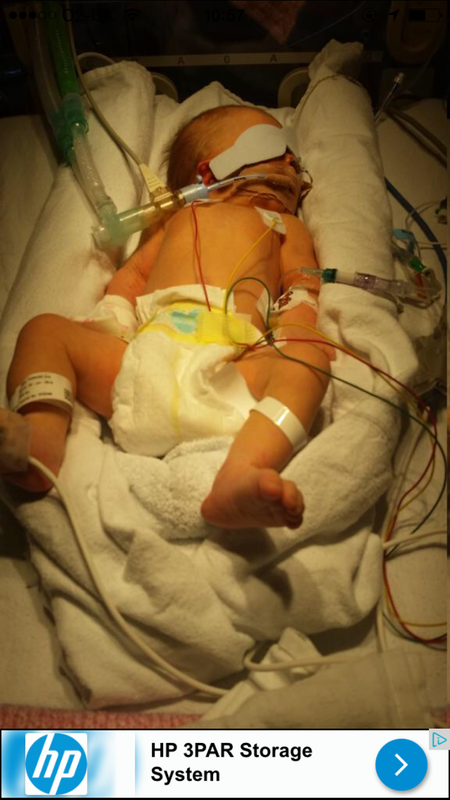 Over the next couple of days, an MLB was arranged – yes another general anaesthetic and she was not even 2 weeks old. This was to look at the structure of her upper airway, could there be a weakness causing her trachea to collapse? Bronchi to be collapsing? What could it be? At this point Ava was still being fed via Naso-gastric tube, she was having my breast milk but she had bad reflux and they suggested this could cause the “episodes” and her apneas she was suffering. 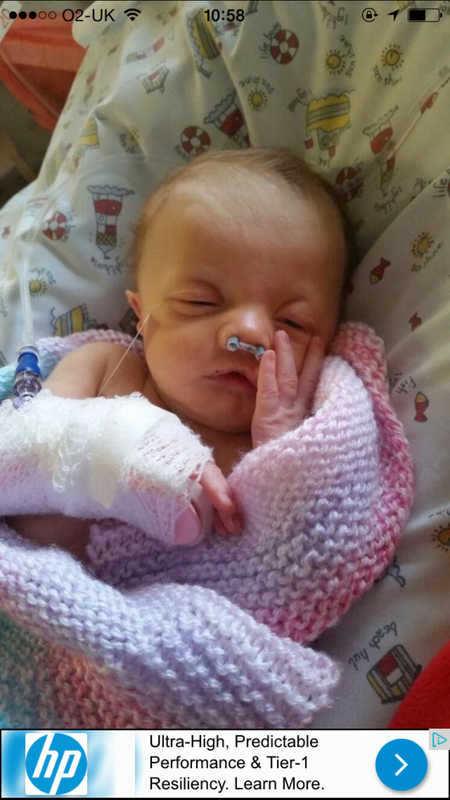 It was decided to advance her feeding tube to a naso-jujenal which is further down to minimise the reflux. She was also now on reflux medicines. It’s a day I later found out she should have died.